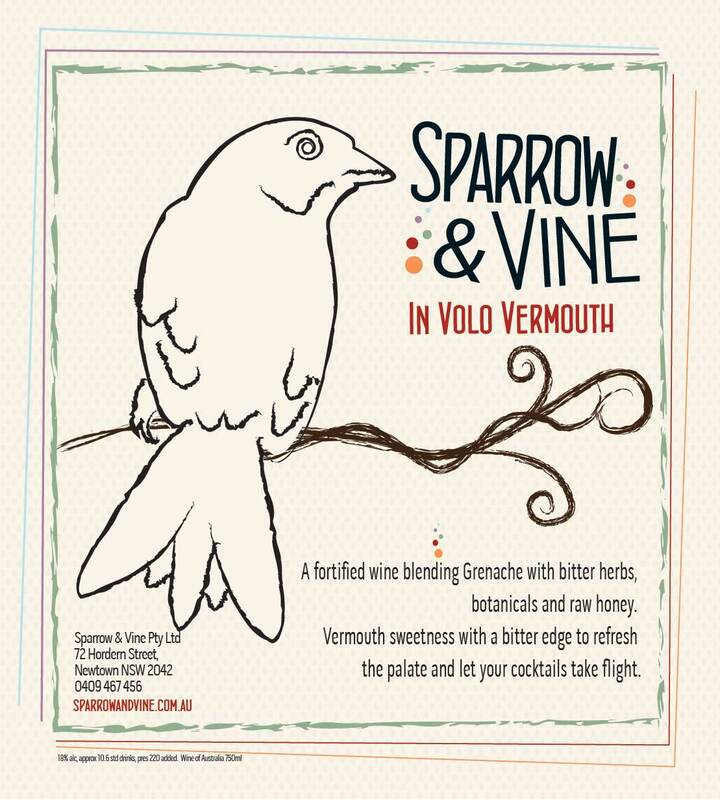 This is our version of a sipping style of sweet vermouth. It makes a pretty mean Negroni and Manhattan but is also just as delicious over ice on a warm evening. 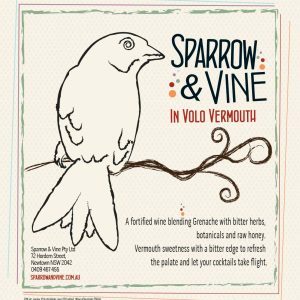 Its base is the Sparrow & Vine Grenache and some Pinot Noir, both of which had lovely spicy characters to start with and took to the additional flavours like a duck to water. The bittering agents were wormwood and angelica root and a whole nest full of flower and citrus and spice were added to the mix. It was sweetened with a big dollop of wild honey taken from our hive in Newtown, in Sydney’s inner west.